Which supermarket was cheapest in January 2019? Asda beats its supermarket rivals to be crowned cheapest for January 2019. But how much will a basket of shopping cost? Asda has beaten supermarket rivals to become the cheapest supermarket for January 2019. The average price for a basket of 71 branded items at Asda was £144.49 in January – £3.67 cheaper than second-place supermarket Sainsbury’s. Our basket includes popular products such as Andrex toilet rolls, Cathedral City cheddar cheese, Colgate toothpaste, Hovis sliced white bread and Tetley tea bags. Waitrose was the most expensive place to buy our basket of items in January, racking up a bill of £156.28 – £11.79 more than Asda. Online-only supermarket Ocado wasn’t far behind, coming in at £154.69. Waitrose and Ocado were found to be the two most expensive in our annual investigation into the cheapest supermarket in 2018. But do they make up for it with the quality of produce? 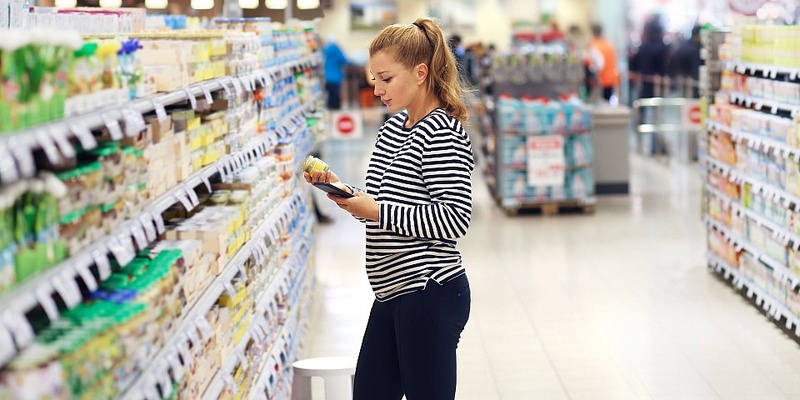 You can find out in our guide to the best and worst supermarkets. 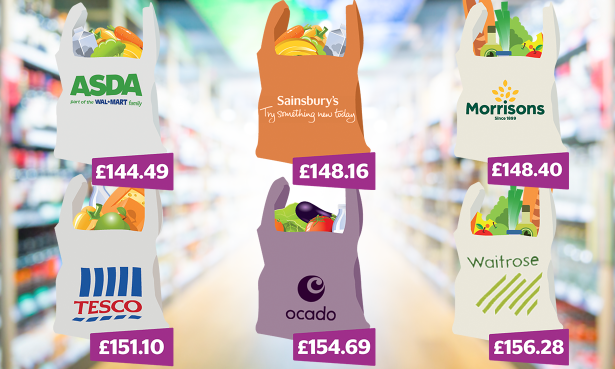 We tracked the prices of 71 popular products sold in the six online supermarkets covered by the comparison: Asda, Morrisons, Ocado, Sainsbury’s, Tesco and Waitrose. Using data from the independent shopping website MySupermarket, we calculated the average price (including discounts, but not multibuys) for each item for February. We added those individual averages up to get the cost of the basket at each shop for the month. Ocado – online supermarket Ocado has warned that there could be an impact on its ability to meet customer demand after a fire broke out at its Andover customer fulfillment centre (CFC) last week, causing substantial damage to its warehouse. The Andover site was responsible for around 10% of produce for deliveries, with more than 30,000 orders processed each week. We asked Ocado whether there would be a shortage of stock, and what the plan was for delivery of future orders that would usually be fulfilled by the Andover centre. At this point in time its team was unable to give any detail about the impact to customers. Customers concerned about their order are advised to check the website to see if their order will be picked, call the customer helpline on 0345 656 1234 or contact Ocado via Twitter. Iceland – the Asda and Sainsbury’s merger is currently in review by the Competition and Markets Authority (CMA). Iceland has announced that it may contemplate placing a bid on any stores that Asda or Sainsbury’s are required to sell in order to have the merger approved. Tesco – at the end of January 2019, Tesco announced plans to change its stores and offices in a move designed to simplify the business. It plans to close the fishmonger, butcher and deli counters in 90 of its larger stores and reduce the number of layout changes it makes. The supermarket giant estimates that 9,000 Tesco staff roles could be affected by the changes.